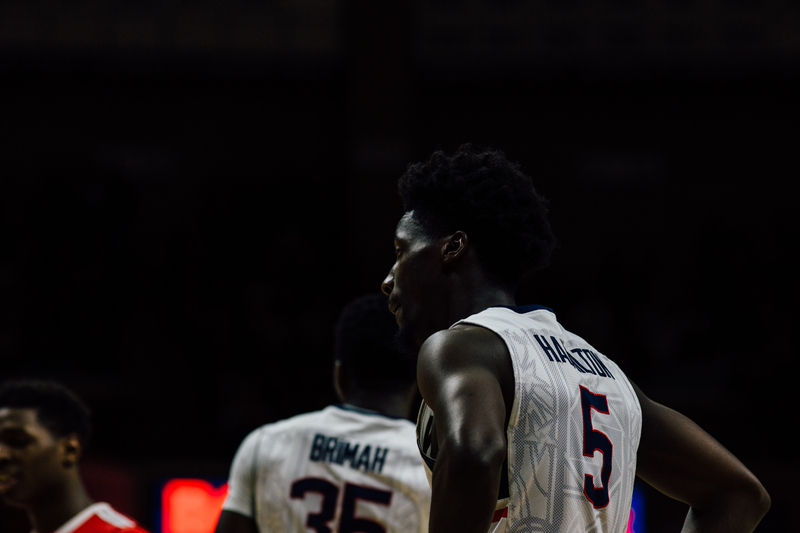 Coming off of a discouraging loss to #6 Maryland and desperately needing a win against a big name, the Huskies (6-3) rolled Ohio State (4-5) at Gampel Pavilion in their third game against a Big Ten opponent this season. This was the sixth meeting all-time between the two schools, who over the years have built their universities and athletic programs into national brands. Prior to this game, the last time these two did battle was at the 1999 NCAA Final Four at Tropicana Field in St. Petersburg (where the UConn football team will be playing their bowl game this year on Dec. 26). Connecticut would win that game, 64-58, to set up a date with Duke in the school’s first ever national championship game. Another notable matchup between these two sides came in 1988, where the Huskies defeated the Buckeyes in the NIT Final, 72-67, to capture their first and only NIT Championship. This game, however, did not stay close like those in the past. The Huskies jumped out to a 21-point halftime lead, largely due to the resurgent performance by Omar Calhoun, who played a season-high 26 minutes and eventually finished with a team-high 14 points on 5-5 shooting. 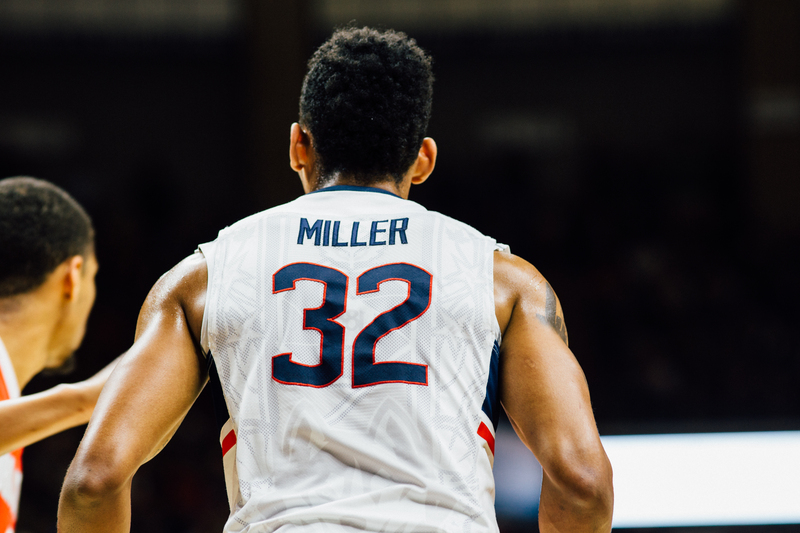 Shonn Miller, an Ohio native, also had a strong showing for UConn, finishing with 11 points and nine rebounds. 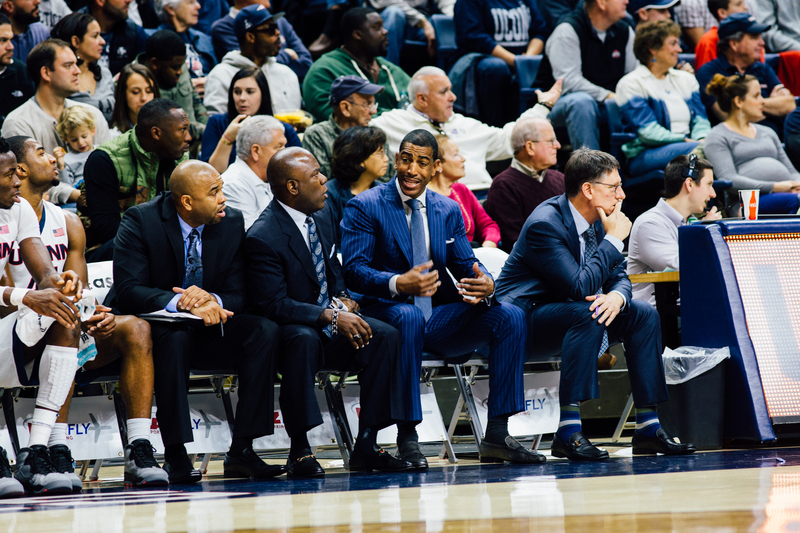 Rodney Purvis, Jalen Adams, and Amida Brimah also scored in double figures to ignite a struggling UConn offense. With the win, the Huskies are now an astounding 82-7 against non-conference opponents at Gampel Pavilion since the building opened in 1990. After an uncommon 4-4 overall record at their on-campus facility last year, the Huskies are already 4-0 there this season. The Huskies, though, will not be back in Gampel for nearly a month. Although three of their next five games are at home, they will all be played at the XL Center in Hartford. UConn will take on UMass-Lowell there in their next game on Dec. 20 after taking a week-long break for final exams. We will have live coverage of the game beginning at 4:00 PM on both 91.7 FM and fm.whus.org. Jalen Adams second half "And-1"